A Strange Thing Happened at the Book Launch. Australian Poetry LTD strikes back:Poetry to enter schools! Mentorships – A new range of mentorships will be offered to provide one-on-one guidance for serious poets. School workshops – A range of workshops for both students and teachers will bring poetry into schools. I stopped at "serious poets". Like the term "emerging writer" it makes me laugh, but then I suspect that means I'm not a serious poet, but I was truly bedazzled by the thought that Australian Poetry LTD, in its evangelical zeal, is about to "bring poetry into schools". This may come as a surprise to most English teachers and their students who were under the (obviously misguided) impression it was already there? 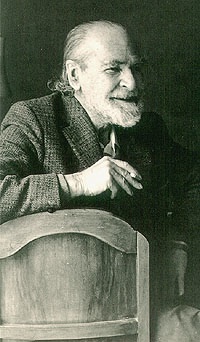 Bunting, at 79, describing conditions "an honest poet must expect". A northern voice insists we hold to windward. Tired eyes stare for the journey’s end. Easier to turn and run with the tide. Easier to find a safe haven now. Easier to wait for a favourable wind. for the stars you choose to steer by? No, people didn’t rush to buy books. I’d read a poem called ‘Not just a broken token song”. I hadn’t had time to explain why I don’t like such songs but the poem is a light hearted criticism of them. So reading over, standing at the table with the books for sale, doing the usual smile and greet. A man approaches the table, stands directly in front of me, picks up a copy of the book, starts thumbing through it. “The word whore trips off your tongue?” he said or asked. It was hard to tell. I was too baffled by this opening to do anything except gold fish impersonations. I think I muttered something about contexts. “Well”, he says, “you’re the poet”, and dropping (tossing?) the book back on the table, exits. Leaving aside how rude such behaviour is, and all the clever things I thought of saying a week later, I’ve been trying to imagine what he thought he was doing. So let us assume he was an educated, rational human being. This was, after all, an event in an academic writing conference. He obviously objected to a word (ok, that’s not entirely rational in my book but let’s run with it) and he felt strongly enough to want to police his little patch and make his unhappiness known. But there was no attempt to enter into any kind of dialogue, no attempt on his part to explain what/why/; no effort at all to even make his point clearly. I was obviously not worth the effort of an explanation. So exactly what I was supposed to do with his outrage remains a mystery. Leaving aside the specific Incident, and all the clever things I thought of much later, it also seems emblematic of a growing failure to read poem as poem. It’s an extreme version of the “ideological reading”. As a writer I choose words in context, to produce an effect in context: I believe it is possible to give words to a character to signal that this character is speaking and behaving in a way I am criticising. (This is exactly what’s happening in the poem in question). I’m interested by attitudes and opinions that aren’t mine and poems seems a good place to explore them. But if poem isn’t read as poem, as something made, and the writer not given credit for the time and thought that goes into its making, if the default reaction is to pick whatever seems unacceptable without stopping to consider how the words are working, then what’s the point of writing a poem and putting time into its construction? There are people who wonder at my lack of enthusiasm for publication…..
From "Talking Nothing to the Stone". The title comes from the plaque at the base of this statue.